Think Christmas Blog Hop Coming Soon! They are just cute, cute, cute! This is the cutest little turkey! Love the treat box and lollipop holder! What a super cute projects!! Love that adorable turkey!!!!! Have a great day. Oh I am so ready for Turkeys LOL...adorable!!! The turkey is Totally cute!! Awesome treat and lollipop holder. Oh my gosh, both of these are so cute!!! I love the sweet turkey! 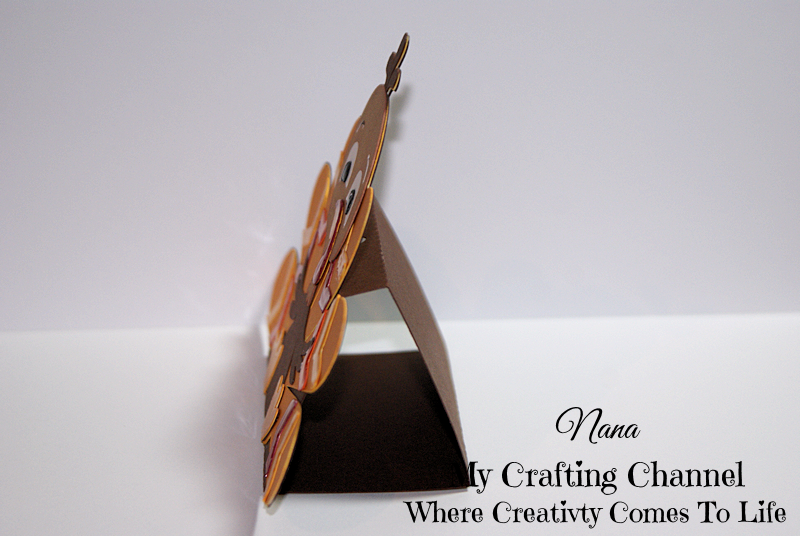 Super sweet projects, Nana! I really like the lollipop holder. I may have to give that one a try! Absolutely adorable projects! Fabulous gable box and lollipop holders! The turkey is so super cute, love the glossy accents! 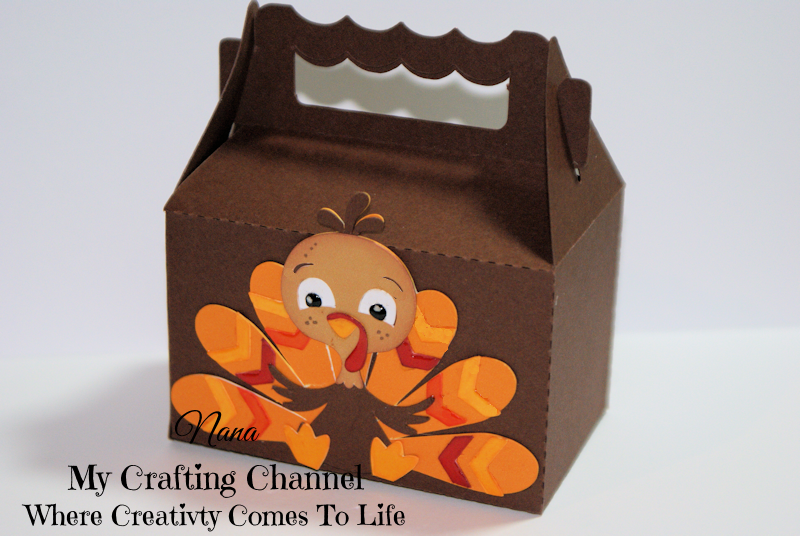 This is just so super cute love the turkey box. Your treat box is super cute! i love how the handle is scalloped, and your turkey is just too cute. Thanks for joining Fun~day Friday at Jo's Scrap Shack.